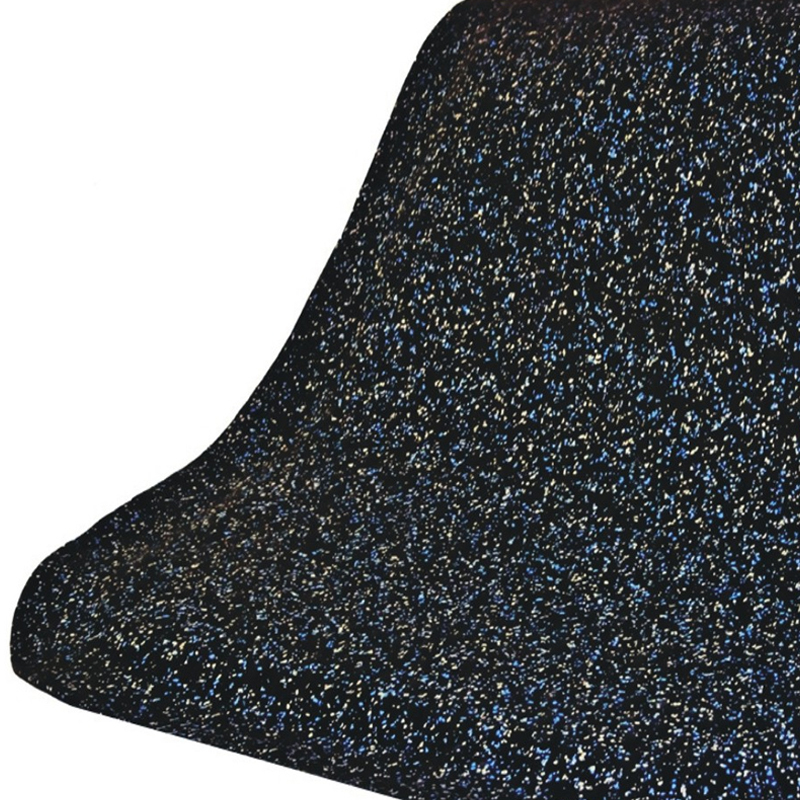 Hog Heaven's green-friendly top surface is made of 95% recycled post-consumer rubber car tires. • Static-dissipative construction is ideal for industrial, commercial, retail, hospitality, and healthcare applications. Welding safe. 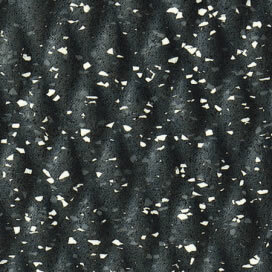 • 5/8" or 7/8" thick, in Confetti Grey. 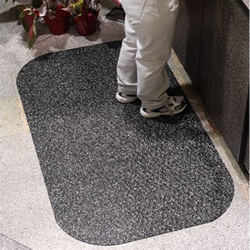 • Beveled edges and curved corners for a safe mat-to-floor transition. • Closed-cell cushion backing for long-lasting comfort. Consists of one: Hog Heaven, Hog Heaven Marble Top, Cushion Max, Cushion Station, Comfort Flow, Happy Feet, Waterhog Eco Elite. 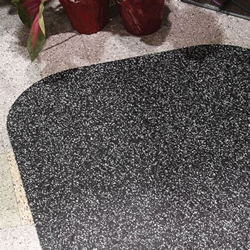 If you decide to place an order after receiving the samples, simply call us and we will rebate $2.99 on your order for any Industrial Mat. Please Note: Mat sizes are approximate and can shrink a bit during the heat curing stage of the mat. For smaller mats, 1" of shrinkage is not uncommon. Larger mats may shrink up to 3%. Please allow for this industry standard tolerance before ordering.